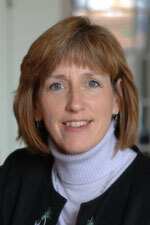 Sheryl Pimlott Kubiak, Ph.D, LMSW is Associate Professor in the College of Social Science at Michigan State University. Kubiak holds a doctorate in psychology and women’s studies from the University of Michigan, as well as master’s in social work from University of Michigan. IC&RC Insights recently had the chance to talk with Dr. Kubiak about her work. IC&RC: Can you summarize your research in the area of addiction treatment and prevention? SPK: My research interests have focused on the intersections between criminal justice, mental health and substance abuse. These intersections are at the individual level – such as someone exiting prison that has a co-occurring mental health and substance use disorder – or at the systems level, like assessing collaboration/coordination between corrections and substance abuse funding for treatment for offenders within the community. IC&RC: What drew you to this field? How did you start working in this area? SPK: Years ago I was working for a legislator, when someone working within the women’s prison approached us about the plight of pregnant women within the institution. Women who entered prison pregnant would deliver at a local hospital after being brought in belly chains, and then mothers would return to prison without their infants. At the time, I knew nothing about the criminal justice system – or substance abuse, but I was a fairly new mother, and I couldn’t imagine anyone taking my infant from me. I began working with the pregnant women who were incarcerated in the hopes of implementing some programming. I learned quite a bit about their lives, their addictions, their histories of victimization and their intense grief as a result of being separated from their children. As a result of what we learned, we were able to obtain a federal grant for a demonstration project that would allow pregnant women with minimal drug sentences to enter a community residential program where they could keep their infants with them. I left the legislator’s office and became the founding director and administrator of the program. It was my tenure there that became the catalyst for later graduate work and my commitment to the area of improving services for those involved in the criminal justice system. IC&RC: What research has been done about credentialing and its effect on outcomes? It is the adoption of the evidence-based practices that leads to better outcomes. It may be that the process of obtaining credentials or further education may in fact introduce individuals to the concepts of evidence-based practices or instill techniques that enhance their ability to implement such practices. IC&RC: How did you conduct your research? SPK: One of our early studies investigated the policies and practices around workforce used by multiple providers providing substance abuse treatment services in a single state. We found that treatment organizations respond, not surprisingly, to the demands of their funder. If the funder requires minimum criteria for staff, then the organization will raise its standard to that level. We are in a time when treatment organizations generally have multiple funders – private insurance, state block grants, and departments of correction. Managing the competing demands of these funding sources is challenging. However, when organizations were asked about what funding source was the most important to their organization, those that responded that it was a criminal justice source (such as courts, corrections, community corrections) were less likely to rate counselor education or credentialing as important. This perspective was supported by evidence of lower educational and credentialing levels of the staff within these organizations. This implies that the staff within these organizations may be among the least likely to adopt the use of evidence-based practices. Since this initial study, we have been exploring policies and practices in multiple states to discern the similarities and differences of funding source requirements. The funding sources we are most interested in are the state office of substance abuse treatment services (Single State Authority) and the state’s corrections system. We are trying to assess how these two state governmental entities coordinate and collaborate to ensure that offenders exiting prison are treated within the community. As part of these case studies, we are interviewing multiple administrators within each state and examining policy documents across state-level departments. IC&RC: What was most surprising to you in the results? SPK: To date, we have not found one state that is similar to another. Each state’s configuration around the issue of treatment within the community for offenders is organized very differently. Fortunately, we do think that we’ve found some exemplars that could be models for other states around the country. IC&RC: Thank you for your time. Your work is fascinating! Additional questions or comments for Dr. Kubiak can be directed to info@icrcaoda.org. In addition, IC&RC is currently working with the Federal Bureau of Prisons to add the CCJP to their list of approved credentials. We are very excited about the addition of these new agencies and look forward to working with them to improve treatment for offender populations. May is National Drug Court Month, so it is an appropriate time to celebrate the Certified Criminal Justice Addictions Professional. Criminal justice agencies are now recognizing that those providing addiction treatment in offender populations must have special skill sets to meet the needs of this most difficult and risky population and also assure public safety. While a growing body of data makes it clear that a particular set of knowledge, skills and attitudes are most effective in addressing the problematic thinking, attitudes and behavior of this population, it is also true that the vast majority of those involved in this endeavor are never exposed to this body of knowledge. The CCJP credential offers agencies and employers professionals who have demonstrated those required skills by possessing the credential of the Certified Criminal Justice Addictions Professional. IC&RC brought together the leading professionals worldwide in the areas of addiction and criminal justice to provide input and develop criteria for the Certified Criminal Justice Addiction Professional credential. In addition to our reknowned advisory board, the current CCJP Committee consist of experts in the criminal justice/addictions fields from across the country. Reduce crime by providing effective drug treatment. Cut tax dollars spent to incarcerate repeat substance abusing offenders. Build public confidence in the ability of those working with criminal-justice caseloads. Ensure quality to the consumer of substance abuse treatment in a criminal justice setting. Increase the level of credibility of those working with substance abusing offenders. Open doors to new professional opportunities for addiction counselors and criminal justice professionals. Offer organizations, agencies, and employers the option of professionals who have demonstrated the special skills required to work with offender and criminal justice populations. CCJPs must be knowledgeable of the services provided by the treatment and criminal justice systems. Knowledge is required in such areas as theories of addiction, theories of criminality, pharmacology, involuntary commitment procedures, criminal case processing, ethical guidelines and confidentiality limitations with clients in correctional/criminal justice settings, coordination of services and monitoring, court alternatives and conditions of probation. The number of individuals incarcerated in our society has more than doubled over the past decade. The evidence is conclusive that addiction is highly correlated with criminal behavior and criminal involvement. As a result, the criminal and juvenile justice systems and providers of substance-abuse treatment share a responsibility to provide the best possible treatment.